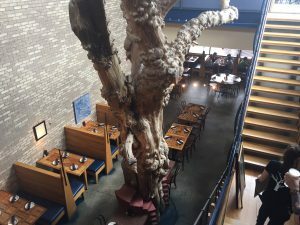 It might be unusual to see a full mulberry tree as the center piece towering in the middle of a busy and bustling restaurant, but not at Medici in Normal. Located in Uptown, Medici has been in town since January of 2008, nearing their 10 year anniversary. 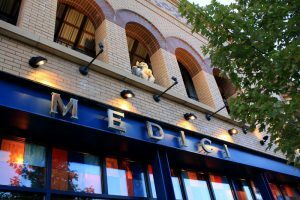 The restaurant stems from the original Medici which opened in 1957 up in the Hyde Park neighborhood of Chicago. 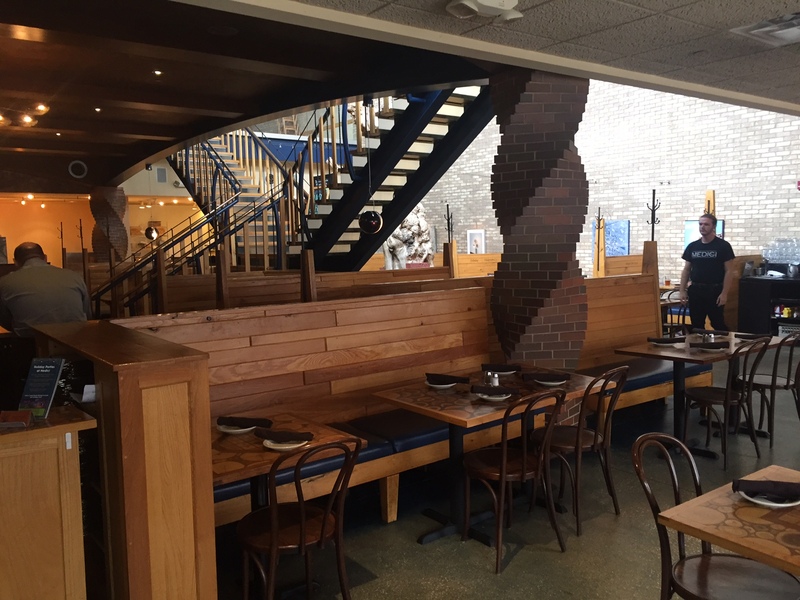 The Hyde Park location has been in business for now over 50 years, but the two locations aren’t exactly the same. The original Medici started as a coffee shop that served some food that then evolved into a restaurant and bakery. 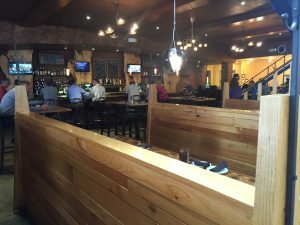 They in fact just received a liquor license which has put them into an even different realm. 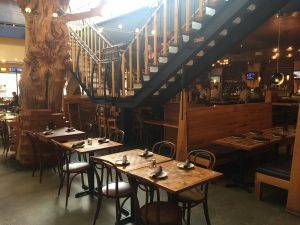 The Normal location looked to provide a more sit down restaurant feel, giving guests the full experience of getting to come enjoy a delicious drink and meal in a very fun and lively setting. Even while being open nearly ten years there definitely were struggles according to Slane. The space was highly renovated and revamped, nearly doubling the capacity of the area when the Normal location was first bought. 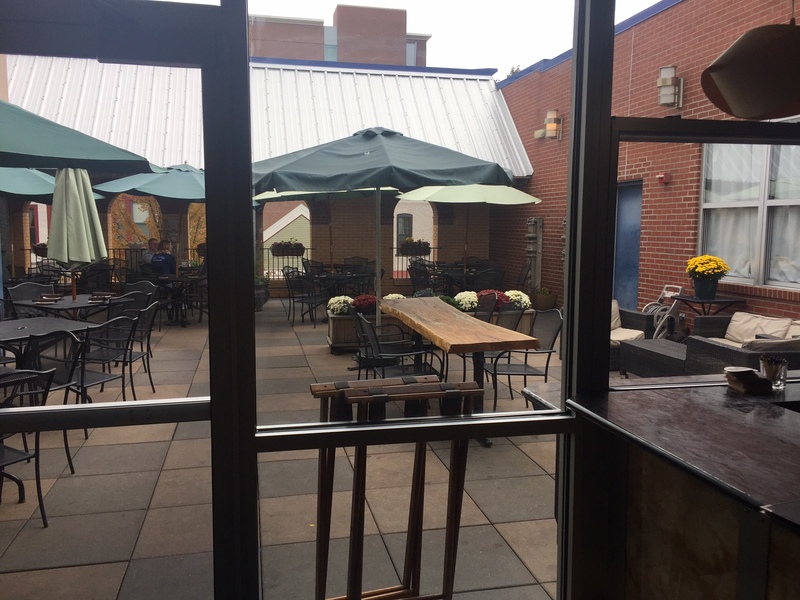 Also mentioning that when the restaurant first opened, it was a time when Uptown Normal faced a new development and it took awhile for Medici in Normal to draw a following and show the area what they were all about. With a fierce passion and drive to make the restaurant successful, all the hard work has seemed to pay off. 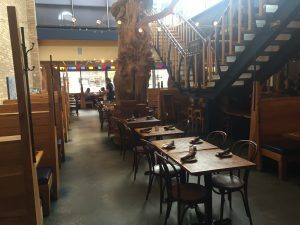 It’s a restaurant then when you walk in you feel an instant vibe of happiness and energy. Even when I arrived during the later time of lunch service, there were still plenty of tables filled with people smiling ear to ear. There are so many different options when you first arrive, whether that be to sit at the bar or in that area which features high top tables. 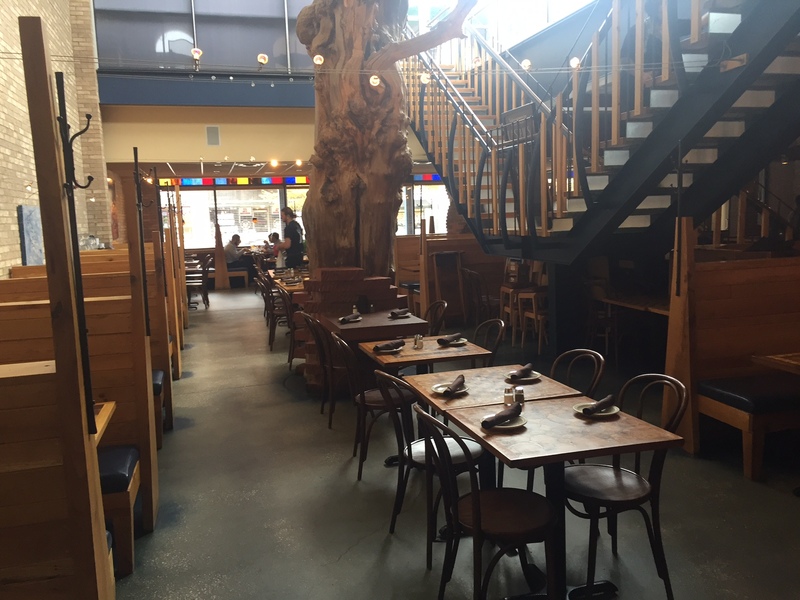 Or take a seat in their dining section which has classic tables and booths. 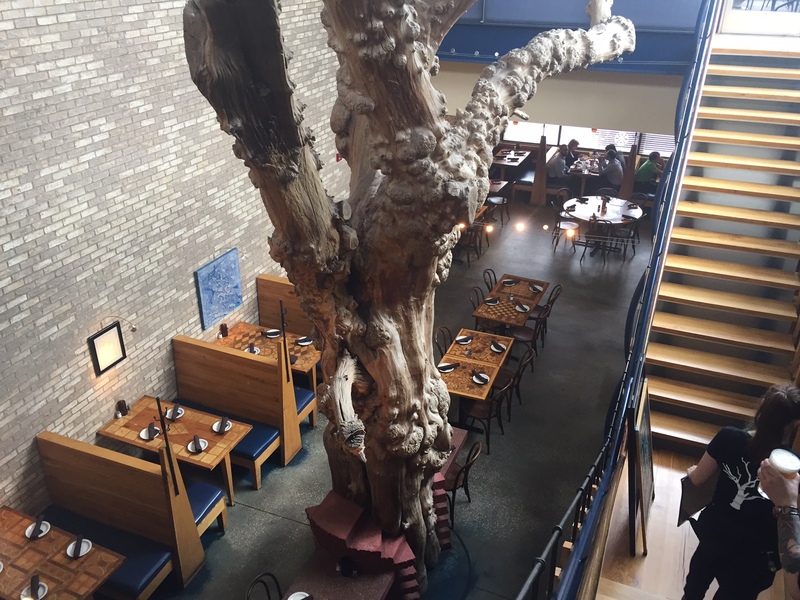 But its so much more than just your typical seating, with the beautiful wood tables, booth, and bar made from trees that were planted by owner Hans Morsbach and modern lighting fixtures, it has such a homey feel in a more modern way. 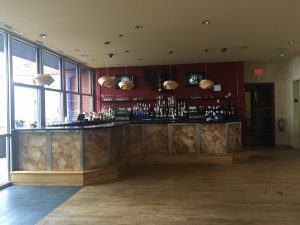 There’s even an upstairs area where larger parties can be seated as they also offer plenty of room for banquets or wedding parties. 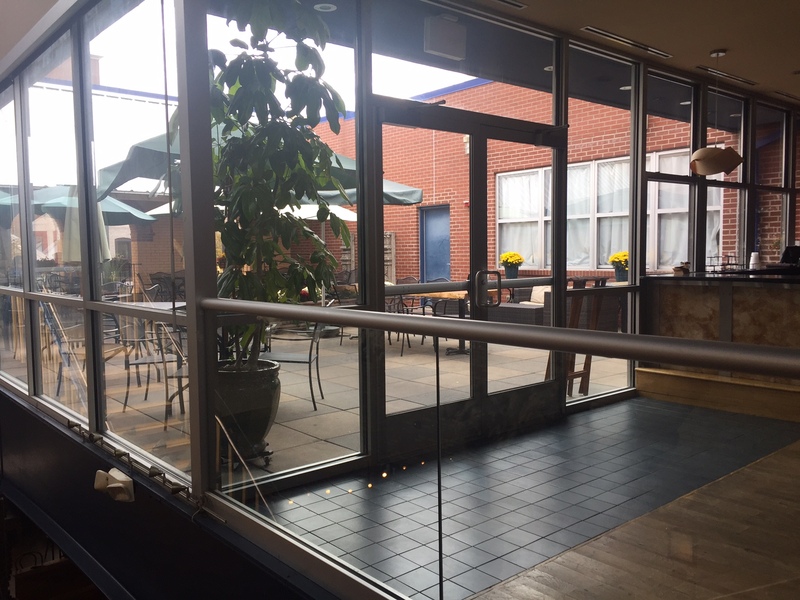 Just past the larger banquet space there is a full patio where guests can enjoy their meal on a beautiful day. 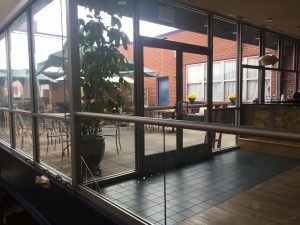 “A comfortable atmosphere…it’s really that ambiance of just comfort, casual, and friendly,” Slane said. Once you take in the setting the next step is deciding what to eat. It’s hard to describe the menu because there isn’t a particular category to describe the food. 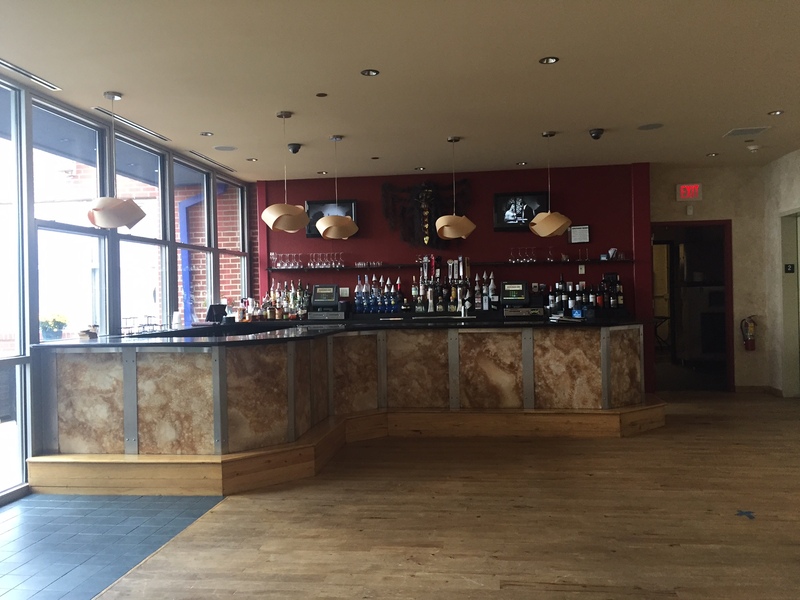 With everything from pub fare, pizza, salad, burgers, and full entrees the decisions are endless. 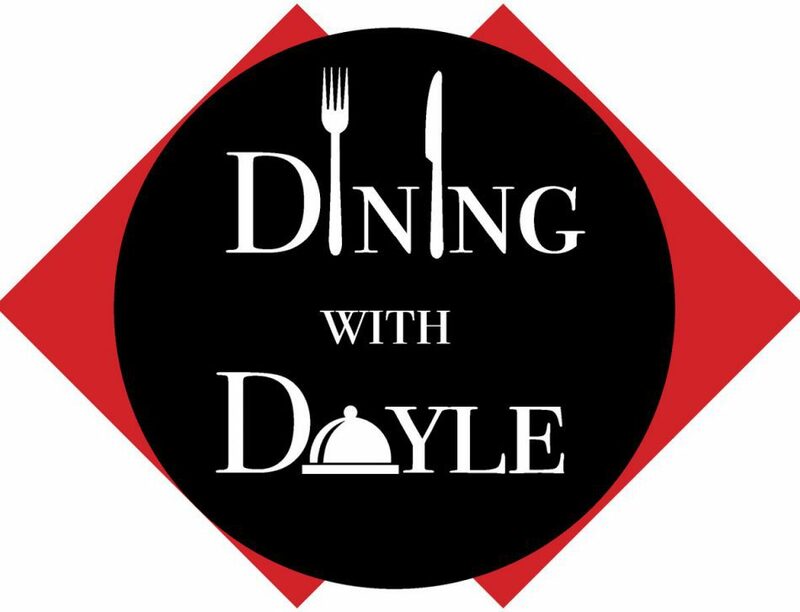 “There are a variety of things on the menu…we don’t focus on this cultural food or that cultural food it’s a little of everything, which makes it fun for our chefs because when it comes to specials they can do just about anything,” Slane said. Having been here several times before, I have tried to make the conscious effort to try something different every time I go. 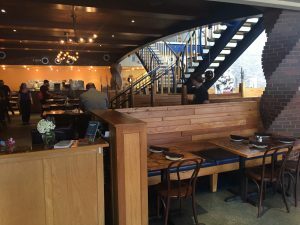 I’ve had just about every part of the menu, such as appetizers and pub fare like the Korean chicken lettuce wraps, East coast crab cakes, crispy parmesan truffle frites basket, and the crowd favorite smoked gouda mac. Pizzas ranging from the Medici and spinach pesto, to one of their many sandwiches like the Medici burger and spicy black bean burger. Entrees I’ve had include the salmon brûlée, beer “can” chicken, and Hans’s beef stroganoff. There really is something for everybody and I’ve hardly been disappointed with anything on the menu. If this isn’t a place you’ve been to in the Bloomington-Normal community I highly suggest stopping by. Medici in Normal takes a score of 4.5 out of 5.